This silly snail toy has been a favourite in the Permanent Collection (aka shelf full of weird junk) here at Mochi Motion HQ (aka our living room). The rubber on the inflatable tongue has worn out, sadly, so it doesn’t work anymore. A good time to give it a second life in cyberspace. Creating this one was a nice quick exercise in simple modelling and texturing inside C4D. 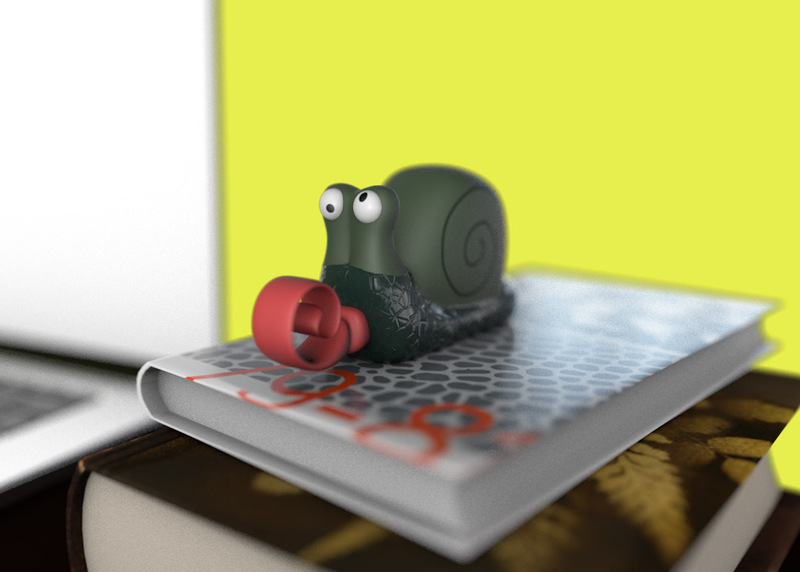 Our floppulent friend will be featured in a series of minimal 3D animated diorama’s entitled Kammerspielgifs. Keep an eye on our blog or channels in the following days. Here’s also a found video of people who have purchased the same toy and are as fascinated with it as we are.